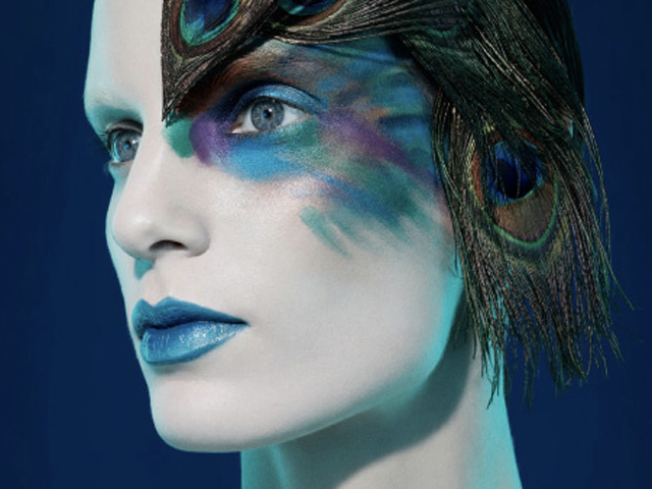 BEAUTY: It’s time to spread your wings with M.A.C.’s new Peacocky collection. The offerings are the perfect way to color the new you in the new year. With bold shades and a ‘30s F. Scott Fitzgerald feel, Peacocky is something to strut about. The Kissable Lipcolour ($18) in Flaunting It brings brilliant shine in a creamy formula, proving you can have the best of both worlds. Match with crease-resistant Mega Metal Shadow ($19.50) in shades like Odalisque (deep teal), Soir Plum (purple with silver pearl) and Unflappable (frosted black with purple pearl) for a look that’s as pretty as a plume. GET IT:Available now through mid-February. M.A.C. at 1107 Lincoln Road, Miami Beach; 305.538.1088. SPA: That week of turning on the heat in your humble abode was, believe it or not, very drying to your skin. And we won’t even mention the pollution to your pores from your delayed flights from here to there. Put back what the furnace and the rest of winter’s woes have taken out with two season-appropriate treatments from The Spa at The Sports Club/LA. The Winter Renewal Facial ($99 for 80 minutes) balances out PH levels using Epicuren botanical ingredients, while the Winter Renewal Body Treatment ($99 for 80 minutes) takes the same philosophy and applies it from head to toe. Start with a full-body exfoliation and wrap, followed by a relaxing scalp massage for the grand finale. Hydration never felt so good. GET IT: The Spa at The Sports Club/LA at The Four Seasons Hotel and Tower at 1441 Brickell Ave., Miami; 305.533.1199. GYM: The excuses sure are getting a workout, but you aren’t. If you’ve hit week two and you still haven’t been to the gym, capitalize on Ayama Yoga’s free classes. In celebration of January 23rd's National Yoga Day, Ayama in Aventura is offering one free classes to new students all month long, plus 30 percent off all packages. Attend class on Sunday, January 23 and get a gift card for a free pedicure at Seven Seas Spa in Sunny Isles Beach. Check out the schedule here. And remember, it’s free, so no more excuses. GET IT: Through January 31. Ayama Yoga Center at 2624 N.E. 188th St., North Miami Beach; 305.932.7755.